Alliances between Renault, Nissan, and Mitsubishi have resulted in launching a based-cloud platform connected services. Having various cross-shareholdings isn’t enough for the three carmakers, and the so-called Alliance Intelligent Cloud will allow them to deliver in-vehicle combined services in almost 200 markets; the platform uses Internet-of-Things technologies and artificial intelligence to provide services based on vehicle data. Here are six technologies that Mitsubishi have been working on in 2019. Renault Clio and selected Nissan Leaf models, which are going to be sold in Japan and Europe, will be the first vehicles to have technology based on this cloud. The vehicles will have remote diagnostics, a range of infotainment options, continuous software deployment and, seamless access to the internet. 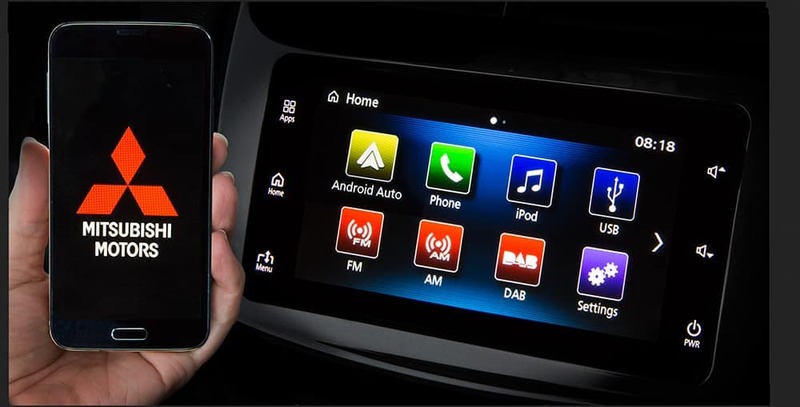 The three carmakers have said their new cloud platform is highly scalable and will merge various legacy systems that have, until now, been used to offer connected-car features. “We have built an intelligent cloud platform that sets the pace for our industry.” Kai Mos, global vice president of Alliance Connected Vehicles, said in a press release. This new feature will have the capability of connecting vehicles to future smart-city infrastructures. In the 2019 Geneva International Motor Show, Mitsubishi unveiled the Engelberg Tourer concept and with it a possible new lifestyle. Mitsubishi unveiled a power system that lets consumer vehicles power their home. The power system is called Dendo Drive House. The Dendo Drive House (DDH) became a concept in the spring of 2018. Mitsubishi Motors partnered with ENGIE and Hitachi Europe Ltd., to generate neutral energy. ENGIE, a France-based natural gas distribution company, had planned their HQ building as a Building Energy Management System (BEMS). The ENGIE is equipped with solar panels which can collect and store energy for use, but what happens with the excess energy? And how does Mitsubishi fit in this equation? A bi-directional charging unit becomes a part of the picture when Hitachi Europe plays with Mitsubishi’s vehicle-to-everything V2X charger. Enter the Outlander PHEV. When the building has collected enough solar-converted energy than it can store, this excess energy is transferred through the V2X bi-directional charger and into the Outlander PHEV battery, successfully recharging it. Later during the evening, ENGIE can use the energy stored in the building’s power grid, and during winter, instead of tapping the ground lines, the PHEV is there to supply back-up. DDG will come with solar panels, just like ENGIE, to collect and store energy in a large home battery that will power the house and its appliances. A bi-directional charger is installed into the home battery and through the garage where the PHEV resides. Think of the probabilities. Navigation system, like the GPS, have made navigating the streets easy for drivers but every once in a while they tend to go a longer route. Mitsubishi engineers shared a preview of the smart navigation system back in January 2019 to be scheduled for showing in February 2019 in downtown Tokyo. General Manager of Mitsubishi’s Human Intelligence Technology Department, Masahiro Abukawa, explained at the preview how the technology would work. “Cameras monitor the lips and eyes of the driver, to see who is talking and where the person looks,” said Abukawa. The system is meant to be outstandingly helpful, but tricky to implement correctly. It is also supposed to be very responsive when the driver asks for clarification on where it needs to turn next. The core feature of this navigation is the ability to detect where the driver is looking. Also included are the small cameras that are mounted into the nose of the car that can designate the driver if the road is clear when exiting a narrow alleyway or a garage. These corresponding monitors and small cameras are engaged via the driver’s eye movement. Thos two technologies are part of Mitsubishi’s Electric’s compact artificial intelligence technology for smart mobility. It works like any other Advanced Driver Assistance System and is tasked with assisting drivers with as much as possible. Only Original Equipment Manufacturers and component manufacturers have access to acquire this tech. At the 2019 Consumer Electronic’s Show, Mitsubishi was a part of it thanks to Mitsubishi’s Electric vehicle. With the contributions to self-driving autonomous car technology for Mitsubishi Motors and the development in artificial intelligence. It had a great chance to debut some of the automotive features that are primarily consumer-based. Most automobiles vehicle design are starting to get a biometric and facial recognition foothold in the auto industry. Mitsubishi Electric is building smarter artificial intelligence (A.I. ), and those systems could soon be making their way into Mitsubishi’s lineup. Along with safety, facial recognition can be used to personalize door unlock, vehicle start, and garage access. You can search the inventory of Mitsubishi’s at University Mitsubishi. Make sure to stop by for a test drive and see if this model and make is the car for you.